Fin Greenall, known professionally as Fink, is an English singer, songwriter, guitarist, producer, and DJ born in Cornwall and currently based in Berlin.. From 1997–2003 he focused on electronic music and DJ'd internationally, releasing in 2000 his debut album Fresh Produce on Ninja Tune. Since the 2006 release of his album Biscuits for Breakfast, the name Fink has also referred to the recording and touring trio fronted by Greenall himself, completed by Guy Whittaker (bass) and Tim Thornton(drums). 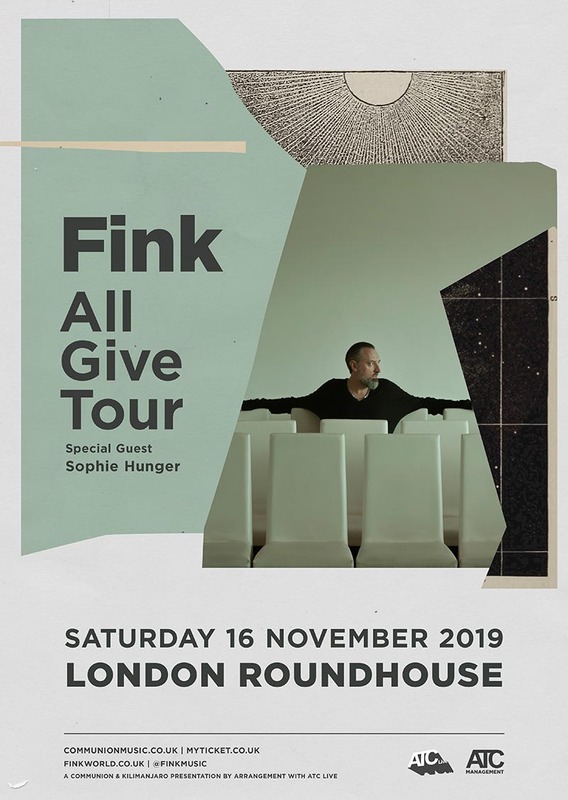 Fink will be on tour again in Europe in November 2019 with their new All Give Tour, including a show at London's Roundhouse.